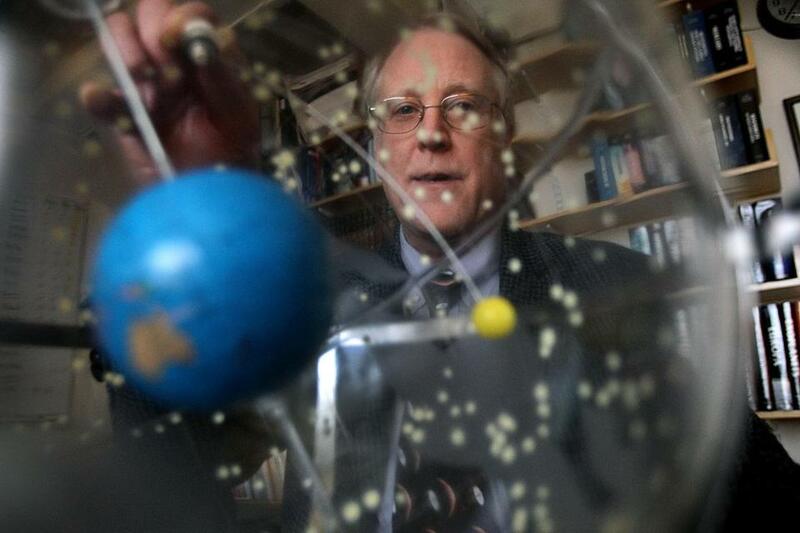 Richard Binzel, a professor of planetary sciences at MIT, is a member of the mission’s science team. That vehicle, a NASA vessel about the size of a grand piano, has been hurtling through space over the past nine years in a fitful hibernation. Its mission: to provide humanity with the first close-ups of Pluto, starting next month. 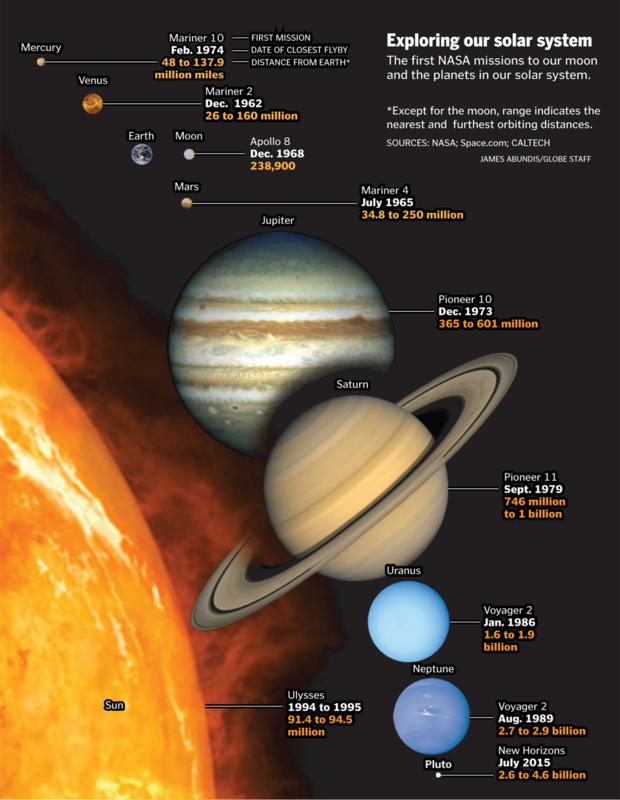 The New Horizons spacecraft woke up for good last weekend, some 2.9 billion miles and counting from Earth. In mid-January, the $728 million mission will begin deploying a suite of instruments that will photograph the surface of the dwarf planet, measure the makeup of the atmosphere, and show the geology of Pluto and its largest moon, Charon. Sometime in May, it will cross the crucial threshold that scientists call BTH, short for “better than Hubble,” meaning that the images sent back will exceed the resolution of the Hubble Space Telescope. And on July 14, the spacecraft will make its closest approach to Pluto, swooping within about 6,200 miles of the surface. New Horizons will give us the first closeup look at the dwarf planet Pluto and venture deep into the distant, mysterious Kuiper Belt — a relic of solar system formation. Robotic explorers have flown by or landed on Mercury, Venus, Mars, Jupiter, Saturn, Uranus, Neptune, the moon, asteroids, and even a comet. But Pluto, downgraded to a dwarf planet in 2006, has remained more like a distant smudge on a telescope lens than a real world. A 1991 series of US postage stamps that commemorated planets and the missions that had revealed their secrets bore the simple caption “NOT YET EXPLORED” beneath Pluto. Scientists don’t know what they will find on Pluto. It would be surprising if they don’t discover a few new moons. The cameras on board the unmanned craft, if turned on Earth at the same distance, would reveal the ponds in Central Park, so scientists will get their first glimpse of Pluto’s mountains, craters, or other geological formations. Scientists are curious about seasons on Pluto, where the transition from winter to summer takes 124 Earth years. In the 1990s, astronomers began to discover small, distant objects in Pluto’s neighborhood — an enormous zone called the Kuiper Belt. The discovery of an object larger than Pluto ultimately led in 2006 to a rethinking of what “planet” really meant and Pluto’s demotion to “dwarf planet.” Dwarf planets are defined as not having “cleared the neighborhood” around their orbit, meaning there are other similarly sized bodies nearby. But in many ways, the discoveries in the Kuiper Belt only made it a more interesting scientific destination. Scott Kenyon, a senior scientist at the Harvard-Smithsonian Center for Astrophysics, developed a model of how planets form — a process he compares to dust bunnies forming under a bed — and used it this year to predict that Pluto should have more moons than the five that are currently known. 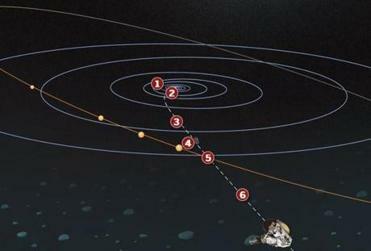 The observations made by New Horizons will help him refine and test that theory. But the animating question of the mission transcends narrow questions about the temperature and density of the atmosphere or how Pluto interacts with the wind of energetic particles emanated by the sun. Binzel traces the mission origins back to the early 1980s, when he and Stern were at the University of Texas Austin and would talk informally about the possibility of exploring Pluto one day. Planning for a mission got serious in 1989, when they and colleagues began to assemble a real proposal. There was a crucial window when the alignment of the planets meant that a spacecraft could use Jupiter’s massive gravity to be flung faster toward Pluto. While scientists had long dreamed of a Pluto mission, the reality of planning a mission was marked by setbacks. Binzel has a bulging file drawer full of iterations of proposals that never got picked. He compares the process of proposing such large projects to the “Peanuts” comic strip in which the character Lucy holds the football and yanks it away from Charlie Brown at the last minute. NASA approved the mission in 2001, and it launched in January 2006. To preserve New Horizons during its long, harsh journey, the team put its instruments and electronics to sleep, waking them up periodically to make sure everything was working. Scientists’ most frequent communication with the craft was a signal that the spacecraft sent out every Monday reporting its systems were OK.
After so long, with New Horizons on Pluto’s doorstep, it is more than just a scientific milestone. When Stern spoke about the mission 25 years ago to a reporter, he noted that his 2-year-old daughter would be 27 when the craft finally arrived. Correction: An earlier version of this story had a graphic that incorrectly stated the first Apollo mission to reach space. It was Apollo 8.